Cisco announced plans to virtualize and cloud-enable the video processing elements of its Videoscape TV service delivery platform. Virtualized Video Processing Portal -- for configuring complex workflows from a single screen. Virtualized Video Orchestrator -- allocates software and hardware resources from a common pool, which can be a mix of physical and virtual resources. It embeds business and technical logic to instantiate, as needed, additional software and to allocate additional hardware. Cisco also announced enhancements to the Videoscape AnyRes encoding solution to support full-frame rate 4K/Ultra High Definition and the High Efficiency Video Coding (HEVC) standard for more optimized delivery. 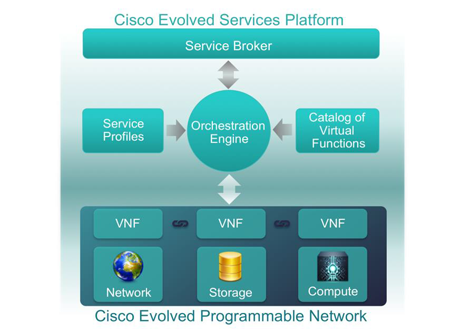 In February 2014, Cisco introduced an Evolved Services Platform (ESP) for Service Providers that leverages its software-defined networking (SDN) and network function virtualization (NFV) offerings. The Cisco ESP is a unified virtualization and orchestration software platform that creates, automates and provisions services in real time, across compute, storage and network functions, to deliver desired business outcomes for applications running across multiple domains. Qualcomm introduced its next-generation Snapdragon 810 and 808 processors -- its highest performance mobile processors to date -- aimed at flagship smartphones and tablets. The new devices integrate 4th Generation Cat 6 LTE Advanced multimode modem together with support for the Qualcomm RF360 Front End Solution, and support 3x 20MHz Carrier Aggregation, enabling speeds of up to 300 Mbps. Both processors are designed in 20nm technology node with Cat 6 LTE, advanced multimedia features and 64-bit capability. The Snapdragon 810 and 808 processors are anticipated to begin sampling in the second half of 2014 and expected to be available in commercial devices by the first half of 2015. Native 4K Ultra HD interface and video, along with an upgraded camera suite using gyro-stabilization and 3D noise reduction for producing high quality 4K video at 30 frames per second and 1080p video at 120 frames per second. 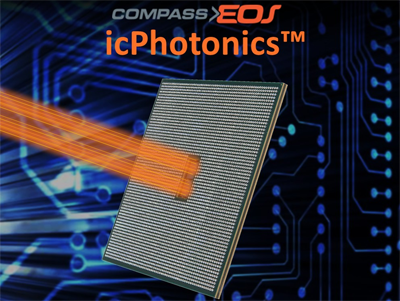 The combined 14-bit dual Image Signal Processors (ISPs) are capable of supporting 1.2GP/s throughput and image sensors up to 55MP. Advanced imaging software helps enable advanced mobile camera features, including enhanced exposure, white balance and fast low light focus. New Qualcomm Adreno 430 graphics processing unit (GPU), which is designed for 4K displays, provides support for OpenGL ES 3.1 plus hardware tessellation, geometry shaders and programmable blending. The Snapdragon 810 processor introduces high speed LPDDR4 memory. Designed for WQXGA (2560x1600) displays, the new Adreno 418 GPU provides support for OpenGL ES 3.1 plus hardware tessellation, geometry shaders, programmable blending. It is designed to support up to 20% faster graphics performance than its predecessor, the Adreno 330 GPU. The Adreno 418 GPU also enables a new level of GPU security for secure composition and management of premium video and other multimedia. 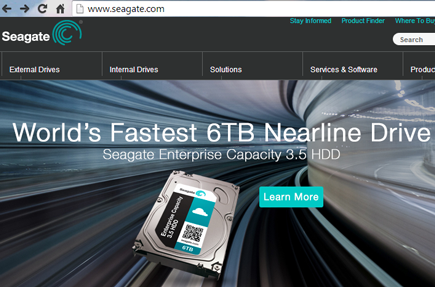 Seagate Technology announced commercial release of its 6TB hard disk drive (HDD) for scale-out data centers. Seagate said its Enterprise Capacity 3.5 HDD v4 features the fastest performance available for a nearline HDD -- up to a 25 percent increase in performance over competing 6TB drives— making it ideal for 24 X 7 bulk data storage. It supports the latest generation of 12Gb/s SAS as well as SATA 6Gb/s interfaces. The 7200-RPM drive employs multi-drive rotational vibration tolerance for consistent enterprise-class performance and accurate data storage in high density environments. 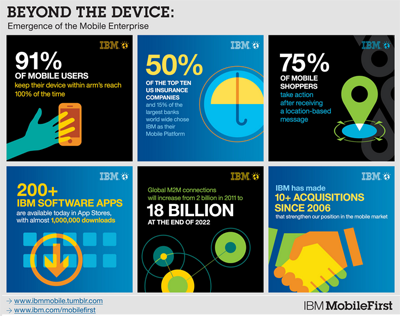 IBM expanded its MobileFirst portfolio with new and enhanced services focused on mobile strategy and security, application development and device procurement and management. Infrastructure consulting services – Helps enterprises evaluate their existing mobile infrastructure environment, identify gaps and build a comprehensive mobile strategy and roadmap that meets their business and technical needs. Using industry-specific points of view, IBM guides the journey, focuses clients on approaches that are specific to their business and recommends solutions that achieve the client’s service management, cloud and workplace objectives. Application platform management services – With apps emerging as a key growth area for their business, enterprises are creating their own developer communities. With these new services IBM will help clients build, configure and fully manage their developer community’s app dev environment, supported by both software and a skilled team of experts. Device procurement and deployment services – Allows clients to simplify the selection and ordering of devices and install the client’s tailored platforms, apps and service components. Devices can be shipped directly to employees and include services for ongoing secure management, customer service and predefined refresh cycles with disposal or repurposing. Managed mobility services – Provides enterprises with scalable, secure, reliable and flexible management of their mobile infrastructure and wireless endpoints. With these services IBM helps clients reduce the risk, complexity and cost of managing their bring your own device (BYOD) and corporate device programs while freeing up the client’s IT resources to focus on core business needs. This service features MaaS360 from IBM's acquisition of Fiberlink, along with an ecosystem of IBM business partners to deliver cloud-based solutions. Mobile network services – Provides customers with a deep understanding of resources required to deploy a secure, scalable and reliable network infrastructure to support the unique demands of their mobile business. As a result, clients can identify the new unique components and design considerations that must be taken into account to establish a secure mobile enterprise. For example, customers can pinpoint what type of mobile security is required to sustain the increased network traffic volume generated by mobile apps and data. Mobile collaboration services – Provides a suite of productivity solutions including email, instant messaging, voice and video that enable mobile employees to exchange information, locate experts and become more productive. Clients can benefit from design, implementation and managed services to help them stay connected and perform business transactions from any mobile device, anywhere. As a result, employees become more collaborative, creative and effective, driving growth, customer loyalty, cost reductions and higher employee satisfaction. Mobile virtualization services – Enables clients to leverage virtualization technology to design, implement and manage distributed end users. 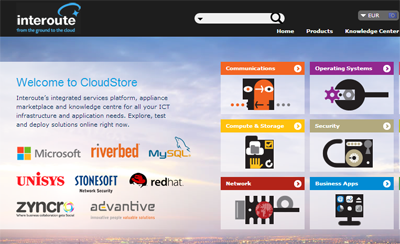 Using this service, end users can access platform independent, hosted applications and full client images. This comprehensive offering includes assessment, design and implementation and managed services delivered on premises. Devices included in this service include laptops, workstations, tablets and thin clients. IBM Smart and Embedded Device Security – Helps enterprises secure their emerging mobile applications and enables device manufacturers to address concerns around safety, stability, service cost and intellectual property protection of smart and embedded devices. IBM uses threat modeling, source code analysis and penetration testing of device and application, including firmware and kernel module security, to identify and fix vulnerabilities. This enables the client to prevent hackers from gaining root access to their devices and increases the integrity and availability of their security services. EXFO has acquired the assets of ByteSphere, a privately held software company specializing in global IT management and network monitoring solutions. Financial terms were not disclosed. 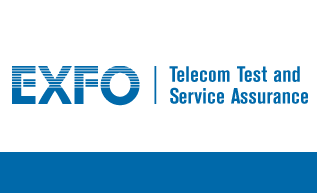 EXFO said the merger extends its capabilities in network performance management for infrastructure monitoring through highly scalable device and network element polling. ByteSphere's solutions feature advanced patented techniques for infrastructure performance management, including network element polling and fault management. ByteSphere's products and tools are used by some of the world's largest tier-1 network operators and Fortune Global 500 companies. Taken together with its own BrixWorx line of service assurance solutions, EXFO said its newly enhances capabilities provides real-time correlation between network element performance metrics and probe-based service performance metrics, positioning EXFO to drive the value of this raw data into correlated and actionable events for customers through advanced analytics and visualization. "EXFO is thrilled with the acquisition of ByteSphere's assets as it is very synergistic with our total solutions offering in service assurance and network performance management, especially in critical areas like small cells, wireless backhaul and metro Ethernet," said Germain Lamonde, EXFO's Chairman, President and CEO. "ByteSphere's leading-edge technology adds expanded network visibility to EXFO's highly acclaimed active IP/Ethernet service assurance solutions, which will allow customers to dramatically streamline network operations and improve overall network quality." 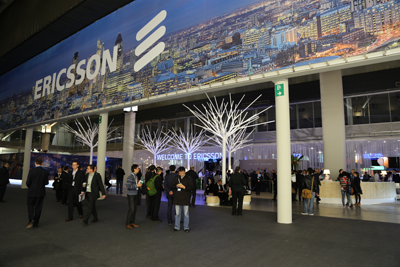 Ericsson introduced a new video processing platform for TV service providers. Freescale Semiconductor agreed to acquire Mindspeed Technologies' Comcerto CPE communications processor business. Financial terms were not disclosed. Mindspeed is owned by M/A-Com. Mindspeed's Comcerto line includes multicore, ARM-based embedded processors and associated software. The Comcerto 2000 SoC is supported by an extensive software library and combines two 1.2 GHz ARM Cortex-A9 CPUs with packet engines and communications accelerators. In December 2013, Intel acquired the wireless infrastructure division of Mindspeed Technologies. Financial terms were not disclosed. The asset sale was contemplated by M/A-COM Technology Solutions' agreement to acquire Mindspeed, which was announced in November. 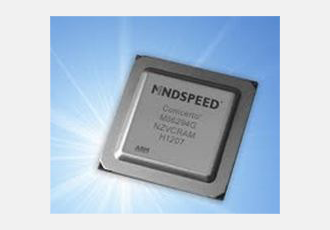 Mindspeed is a leading supplier of processor for small cells in 3G/HSPA, TD-SCDMA and LTE. Its base station semiconductor solutions serve residential to enterprise to pico/metro applications. In November 2013, M/A-COM Technology Solutions, a supplier of high performance RF, microwave, and millimeter wave products, agreed to acquire Mindspeed Technologies for $5.05 per share in a cash, a 66% premium over the company's previous close of $3.04 on November 4, 2013. This represents an enterprise value of $270 million. Mindspeed, which is based in Newport Beach, California, supplies semiconductors for communications infrastructure, including broadband access networks (fixed and mobile), enterprise networks and metropolitan and wide area networks (fixed and mobile). Its main product lines include its Transcede family of low-power, multi-core system-on-chip (SoC) solutions for 3G and 4G/LTE small cell base stations, and its Comcerto family of processors for triple-play access gateways. M/A-COM, which is based in Lowell, Massachusetts, supplies high performance RF, microwave, and millimeter wave products that enable next-generation internet and modern battlefield applications. 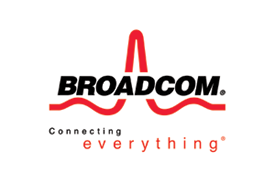 Radisys introduced Trillium TOTALeNodeB 2.0 small cell software for Broadcom's 617xx Series dual mode system-on-chip (SoC) solutions. The joint solution is being used in Z-Com’s LTE-TDD trial deployments for CMCC in the first half of 2014 with an initial focus on the Enterprise small cell market. Z-Com is a leading global solution provider dedicated to research, design, development and manufacturing of wireless data solutions for broadband wireless Internet access and various mobile data applications. Interoute opened a new Interoute Virtual Data Centre (VDC) zone in Hong Kong, enabling global enterprises with presence in Asia to gain fast access to their applications and data stored in the Interoute cloud. In addition, customers can move data and applications across the entire Interoute cloud services platform between VDC zones for free, thanks to the integration of Interoute’s automated MPLS network. Interoute now has seven Interoute VDC zones in Amsterdam, Berlin, Geneva, London, Paris, Milan and Hong Kong to host their data.